This entry was posted in Journal and tagged Disability, Healing, Interview, Korean Artist on November 11, 2017 by KRS. This entry was posted in Artists and tagged Activism, Cyberfeminism, Exhibitionism, Healing, identity, Persona, writing on October 21, 2017 by KRS. Summer 2017 SomoS Artist-in Residence WonJu Kim is a Fiber and Soft Sculpture artist active between South Korea, Europe, and the U.S.A. 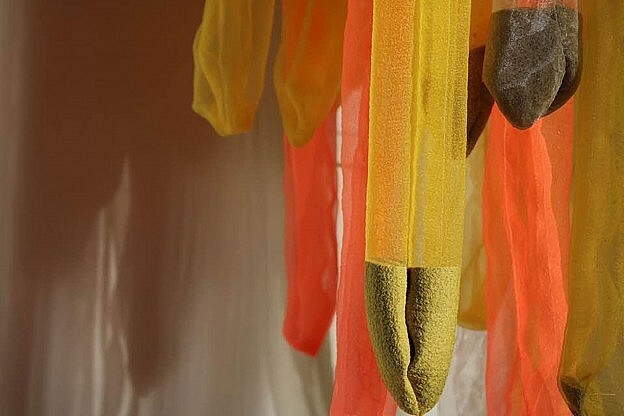 Her thoughtful and poetic installations explore themes of healing, diversity and memory in a direct and personal way. This entry was posted in Artists and tagged Artist-in-Residence, FIber Art, Healing, Installation, Korean Artist on August 27, 2017 by KRS.